In the quest to find new ways to "get green", I am frequently in awe of the eco-friendly offerings I discover. This case is certainly no exception! I was recently introduced to bel esprit ~ the international showcase for responsible and sustainable fashion. Enamored merely touches the surface of my reaction. for the ultimate in chic options that you can feel extremely good about wearing! Luxury has been defined as a singular experience: the simple luxury of fully living in a moment, or the luxury of a beautiful and exclusive object. Today, luxury is no longer defined by price, but rather, by inherent value; no longer the outward display of wealth, but rather, the inward sense of happiness and quality of life. a bel esprit showcased designer, takes inspiration from endangered landscapes around the globe, selecting a new territory for each year's collection. Led by designer, Akela Stokias, the German fashion house room to roam team exhibits their 2011 summer collection on bel esprit which celebrates Hawaii, while the 2011 fall collection will highlight Equador. While creating designs that are interpretations of the collection's inspiration, room to roam takes their appreciation of their chosen region to the next level, by encouraging support and preservation of the habitats and inhabitants alike. Bel Esprit brings together international fashion designers creating a new luxury: elegant and chic collections that value the earth and its resources and are constructed with pride and attention to detail by artisans and workers invested in their creation. a bel esprit showcased jewelry designer, was founded by Chilean artist Tamar Rubilar, creates one of a kind treasures, of recycled vintage jewelry and reclaimed textiles, giving a second upcycled life to that which would have likely be neglected and dismissed. estrella bijoux's chic line of exclusive jewelry designs is fashioned in Montreal, then offered anew to those who will surely cherish their beauty. Bel Esprit invites you to experience the new luxury, exclusively made for those who dream of a beautiful world. Beyond offering you a destination for selecting exquisite eco-fashions, bel esprit seeks to reach out in other humanitarian ways, enabling you to be proactive in an important and meaningful way. bel esprit is most graciously offering That's What She Said readers an opportunity to win an exquisite piece of jewelry from their online store. I am most honored to host this giveaway for my readers. You must follow That's What She Said via Google Friend Connect (mid right sidebar) to be eligible to enter this giveaway. You may enter for a chance to win a handcrafted, recycled sterling silver necklace, adorned with lead free crystals and cultured pearls, from bel esprit showcased eco-designer, Moonlight, approximate retail value, $80.00 US. bel esprit very generously provided me with the same necklace and I can assure you, it is, at once, delicate, elegant and charming. The photo really doesn't do it justice. This giveaway is open to everyone, world wide, and will conclude on Saturday, June 11, 2011 at midnight, EST. The winner will be selected randomly from all eligible entries and notified by email. The winner will have 72 hours to respond before I must move on to a runner up. Please leave your email address, in anti-spam format, in your entry comments if it is not available via your comment name, so I may contact you if you are the winner. For mandatory entry, please visit the bel esprit website and then return here and tell me in a comment either something you learned at the site, your favorite showcased designer or what you admire about their effort. * Visit the Donate Design website and tell me in a comment something you learned there, 3 entries. * Share the Donate Design website in some fashion tell me of it in a comment, with a link to your sharing, 3 entries. * Visit the room to roam website or showcase on bel esprit and tell me your favorite item in in a comment, 2 entries. * Visit the estrella bijoux website or showcase on bel esprit and tell me your favorite item in a comment, 2 entries. * "like" bel esprit, room to roam, estrella bijoux &/or That's What She Said on Facebook and leave a comment here with your facebook name, telling which you liked. 1 entry for each like. * Follow bel esprit &/or That's What She Said (tsue1136) on Twitter and leave a comment here letting me know who you followed. 1 entry for each. * Tweet about this contest with a direct link back to this post. Please include @tsue1136 and @bel_esprit in your tweet. Limit 3 tweets per day. 1 entry per tweet. * Share this giveaway in another fashion: blogging, posting on Facebook, Stumbling, Digging, posting on giveaway linky. Leave a comment here with a link to your sharing. 2 entries per each sharing. Handy share button at bottom of post. * Enter of my other active giveaways and leave a comment letting me know which. 2 entries per additional giveaway. Congrats to ne-Knopa, comment #23, courtesy of Random.org! On behalf of bel esprit, Moonlight and That's What She Said, thank you to all entrants for following and participating! I was provided with a Moonlight Necklace to explore for the purposes of creating this feature. 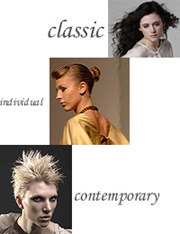 Images and information taken from various bel esprit, roomtoroam, estrella bijoux and Moonlight websites. The opinions above are both honest and my own. 1/ I've learnt that he mission of Bel Esprit is to encourage and develop ethical practices in the fashion industry and The Donate Design project was created to assist organizations around the world, starting with HEAL Africa, to help the people of developing regions build sustainable businesses that will enable them to earn a livable wage. 2/ I've learnt that he mission of Bel Esprit is to encourage and develop ethical practices in the fashion industry and The Donate Design project was created to assist organizations around the world, starting with HEAL Africa, to help the people of developing regions build sustainable businesses that will enable them to earn a livable wage. 3/ I've learnt that he mission of Bel Esprit is to encourage and develop ethical practices in the fashion industry and The Donate Design project was created to assist organizations around the world, starting with HEAL Africa, to help the people of developing regions build sustainable businesses that will enable them to earn a livable wage. My favorite designer is Village Beekeeper. follow via google. I like lalesso designer. my favorite item is the panya dress. Following your blog(ksyshenka|) and I adore BLUEBRETZEL designer for lovely and elegantly summer clothing! #1 I learned that Bel Esprit is organizing the DONATE DESIGN TO HEAL AFRICA PROGRAM, inviting the fashion industry to donate funds, production patterns, design and industry expertise to the program. Bel Esprit will also assist HEAL Africa in bringing finished product to markets in the US and abroad, and matching designers to manufacturing businesses developed. #2 I learned that Bel Esprit is organizing the DONATE DESIGN TO HEAL AFRICA PROGRAM, inviting the fashion industry to donate funds, production patterns, design and industry expertise to the program. Bel Esprit will also assist HEAL Africa in bringing finished product to markets in the US and abroad, and matching designers to manufacturing businesses developed. #3 I learned that Bel Esprit is organizing the DONATE DESIGN TO HEAL AFRICA PROGRAM, inviting the fashion industry to donate funds, production patterns, design and industry expertise to the program. Bel Esprit will also assist HEAL Africa in bringing finished product to markets in the US and abroad, and matching designers to manufacturing businesses developed. #1 I love Dress Sienna, Organic Cotton from the room to roam website! Adorable, chic and so summer-like!!! #2 I love Dress Sienna, Organic Cotton from the room to roam website! Adorable, chic and so summer-like!!! #1 I adore Boucles d'oreille Perla 00 Soie Lila/rouge from the estrella bijoux website! #2 I adore Boucles d'oreille Perla 00 Soie Lila/rouge from the estrella bijoux website! I like estrella bijoux on FB! #1 Entered MelanSol 100% Natural Skin Care giveaway! #2 Entered MelanSol 100% Natural Skin Care giveaway! #1 Entered Etienne Perret Innovative and Eco-Friendly Jewelry Giveaway! 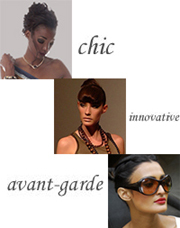 #2 Entered Etienne Perret Innovative and Eco-Friendly Jewelry Giveaway! 1. I learned that the Donate Design project was created to assist organizations around the world, starting with HEAL Africa, to help the people of developing regions build sustainable businesses that will enable them to earn a livable wage. 2. 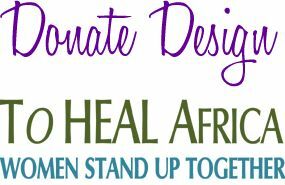 I learned that the Donate Design project was created to assist organizations around the world, starting with HEAL Africa, to help the people of developing regions build sustainable businesses that will enable them to earn a livable wage. 3. I learned that the Donate Design project was created to assist organizations around the world, starting with HEAL Africa, to help the people of developing regions build sustainable businesses that will enable them to earn a livable wage. The panya dress is great. Hello! GFC name:Fenice ,in mandatory entry : my favourite showcased designer is LaLesso because her style has something of original :) and I've learnt that "Bel Esprit brings together international fashion designers creating a new luxury: elegant and chic collections that value the earth and its resources and are constructed with pride and attention to detail by artisans and workers invested in their creation." 2...and "The use of fair trade materials and labor has not only raised the living standards of the farmers and workers producing goods, but has helped entire communities as well, through reinvestment of profits to improve living conditions and education. " 1.Visiting the brilliant and good project of Donate Design I've learnt that :"In the United States alone, fashion is a $265 billion a year industry. Fashion is a tremendous global force that can have a positive or negative effect on the world. Ethical designers recognize the impact of industry processes on the environment and on the livelihood of suppliers and workers who contribute to the final product. They create collections that minimize the environmental impact, and/or guarantee fair wage and working conditions. The mission of Bel Esprit is to encourage and develop ethical practices in the fashion industry. 1/2 I visited the room to roam website ,my favorite item is Dress Rosalie, Organic Cotton. 2/2 ..and the "Collier Brochas"
Thanks for stopping by Coupons Savings In The South. I am following you on GFC. I thought the vella mode necklaces were beautiful. I am a GFC follower (coliebear) and I like the company "moonlight." Most especially I felt literally excited and by the jewelry (NECKLACES!) at / by Estrella Bijeux Jewelry: authentically AWESOME! Clothingwise, I found affinities with several designers: Evan Markoviec and A.D.O and most especially MIKSANI - I definitely felt the pull of a very powerful magnet and a kindred spirit. But I think the one that took me most by surprise was / is Village Beekeeper. Sweet! I love the BLUEBRETZEL designer for lovely and elegantly summer clothing! i learned that donate design helps Africa 1 "andrea glasser"
i learned that donate design helps Africa 2 'ANDREA G"
i learned that donate design helps Africa 3 "andrea g"
my favorite item on the bel espirit website was the sophie bra. i love to work out. 1 "Andrea g"
my favorite item on the bel espirit website was the sophie bra. i love to work out. 2 "andrea g"
i liked the sautoir brochas 02 necklace 1 "andrea g"
i liked the sautoir brochas 02 necklace from the estrella bijoux website 2 "andrea g"
follow that what she says on fb "andrea g"
liked bel espirit on fb "andrea g"
liked estrella bijoux on fb "andrea g"
entered bodycology giveaway 1 "andrea g"
entered bodycology giveaway 2 "andrea g"
1/ i learned -The use of fair trade materials and labor has not only raised the living standards of the farmers and workers producing goods, but has helped entire communities as well, through reinvestment of profits to improve living conditions and education.